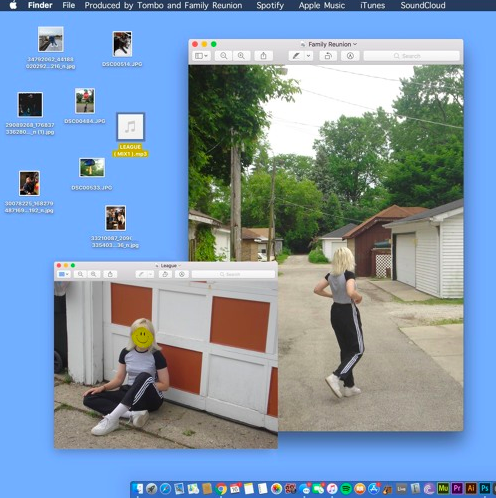 Over just one year, Family Reunion’s Jackie Carlson has become one of Chicago’s most promising acts out of the alternative/indie scene and one of my personal favorite artists out of the city. On her latest, Carlson pens a dreamy track fit for the official start of summer titled “League”. Her songwriting, as always, is the focal point of this record as Carlson crushes on someone who she’s afraid won’t feel the same way. Writing candidly about the nerves and emotions this person has brought out of her, she expresses them through sticky melodies with undeniable clarity. Producer Tombo supplies Jackie with the sonic backdrop that gives weight to her words, letting a fuzzy guitar riff make up the bulk of the beat. Listen to “League” below and be sure to check out Family Reunion’s debut “J” EP here.